In the last installment of “As Twitter Turns,” I reported on a number of key hires and departures in the company’s recent past. Three months later, and Twitter continues to shuffle around its team members — from coast to coast. Here’s something you probably didn’t know: In addition to having a respectable sales team on the East Coast, Twitter has an engineering office in New York City. That was formed when Twitter acquired Julpan, a search and social analytics start-up, almost a year ago to the day. That outfit, led by search guru Ori Allon, became what is now known as Twitter’s Search and Discovery Team, and has led the effort for the past year to improve Twitter’s Discovery tab — the section inside Twitter’s apps and Web site that surfaces your most relevant tweets based on your network. And you may have noticed that on Friday, the team launched the latest iteration of the Discovery tab, so users will now see a continuous stream of tweets. Former Twitter director of engineering Ori Allon. Twitter didn’t have a comment, outside of directing me to Allon’s own tweet on his departure. Twitter’s new Search and Relevance head, Ruslan Belkin. The candidate who will fill his position: Ruslan Belkin, Twitter’s Director of Engineering in charge of Search and Relevance. 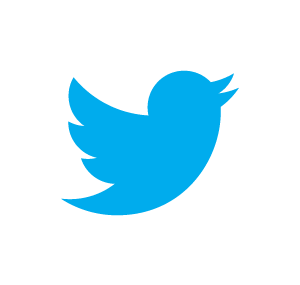 Twitter hired Belkin back in March, snagging him away from LinkedIn, where he also worked on similar search and relevance surfacing algorithms inside the professional networking company. Belkin will continue to improve upon the Discovery tab, with aid from the bi-coastal Sara Mauskopf, the product manager who announced the Discovery update on the Twitter blog Friday morning. Twitter isn’t just shuffling around new blood in New York. 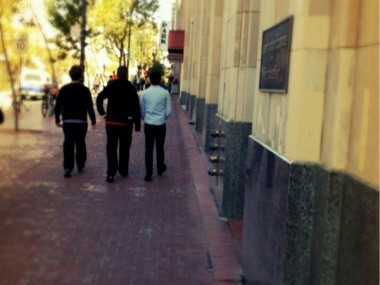 On Thursday, two designers — Mark Otto and Dave Gamache — left the company, along with engineer Ian Ownbey (that picture below is the three of them walking home on their last day at Twitter). I asked around on Thursday evening, and most have been pretty tight-lipped as to exactly why the three left the company. Image courtesy of Ian Chan's Twitter feed. Again, Twitter declined to comment. Shucks. What I do know, however, is that Twitter isn’t bearish on getting new design talent. The company just hired Mike Kruzeniski over the summer, a heavy-hitter in the field, and also acquired some of the members of design firm Nclud just a few months ago. The unexplained designer departure on Thursday could stem from the most recent update to Twitter’s iOS and Android apps, as well as Twitter’s Web site. The company has made it clear that it wants to be far more visually oriented than it has been in the past, adding a heavier photo emphasis to users’ profile pages. Perhaps after the product launch was finished, the company just didn’t need Gamache and Otto anymore. And as we know by now, Twitter’s still heavily recruiting engineers; the company has hired hundreds over the past year, with the most recent headcount at Twitter being in the neighborhood of 1,300 employees globally. 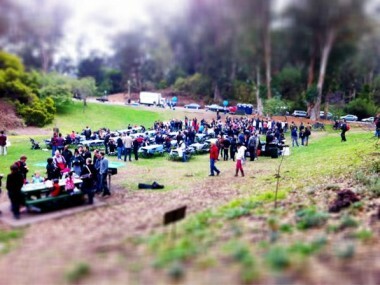 Twitter’s ever-expanding engineering team at a company off-site on Friday. A parting note: After a while of not hearing much on Twitter’s security front since the company acquired security firm Dasient in January, we got a little taste of Twitter’s interest in taking care of its platform. Twitter hired white-hat hacker Charlie Miller just two weeks ago, a man with a penchant for testing and digging around platforms to find their weaknesses, which is exactly the sort of thing he’ll do at Twitter. He’ll report to Moxie Marlinspike, the security expert who came on board when Twitter acquired his company, Whisper Systems, last fall. Marlinspike is now head of product security; while Miller will spend his days trying to break the system, Marlinspike will continue to focus on those vulnerabilities. I’d expect more hirings and shufflings as the months roll on. Especially — considering Twitter’s track record — from everyone’s favorite talent-poaching pool, Google.